Since 1980 we have engaged in the import and marketing of filters, lubricants, accessories and a number of other items produced by well-known foreign manufacturers and have supplied all these items to car repair shops, fuel stations and spare parts stores in Western and Central Greece, Peloponnese, Epirus, the Ionian Islands and Attica. We entered the market as a personal enterprise with the name “Nikolaos Mousakian”.Our company was renamed into “Mousakian Kiriakos & Co OEE” in 1998 and still has the distinctive title “Mousakian Filter Center”. We started out by importing filters and other automobile accessories and placing them on the market in the Western and Central Greece and Epirus.Then we expanded in other areas too and increased our range of products. 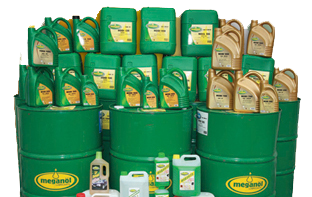 The efforts made by “Mousakian Kiriakos & Co OEE” reached a climax in 2006 by the packaging procedure used for our top quality primary lubricants and chemicals branded as “MEGANOL lubricants”.These products are manufactured according to the certified quality system “DQS ISO 9001:2015” and exceed manufacturer specifications.